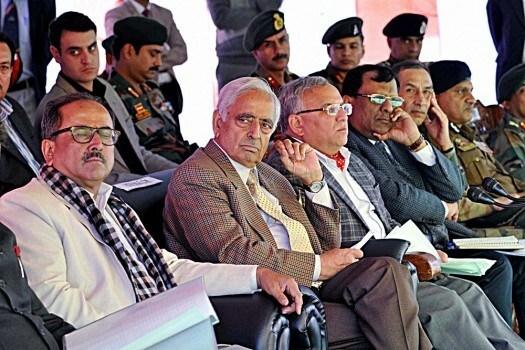 Politicians and supporters pay homage to Jammu and Kashmir Chief Minister Mufti Mohammed Sayeed in Srinagar. 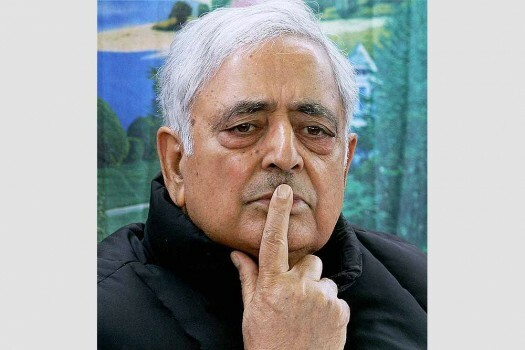 File photo of Jammu and Kashmir Chief Minister Mufti Mohammad Syeed who died at AIIMS in New Delhi . 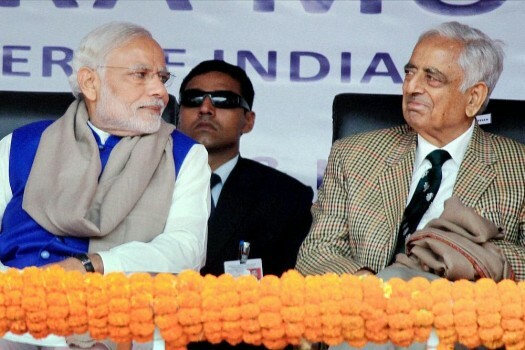 File photo of Jammu and Kashmir Chief Minister Mufti Mohammad Sayeed with Prime Minister Narendra Modi during a meeting in New Delhi in Feb 2015. 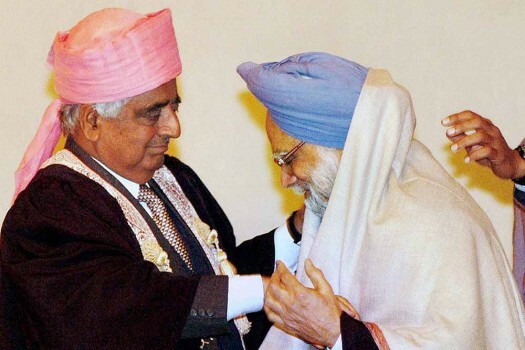 File photo of Mufti Mohammad Sayeed with his daughter Mehbooba Mufti during a meeting, in Srinagar in October 2002. 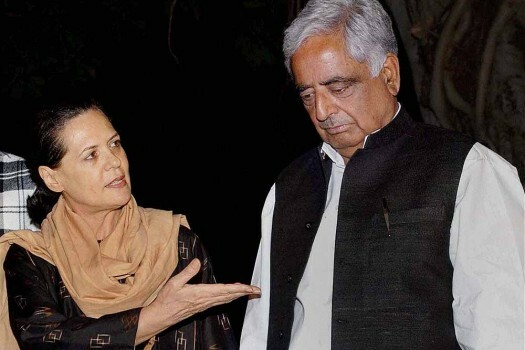 File photo of Minister Mufti Mohammad Sayeed with Congress President Sonia Gandhi during a meeting in New Delhi in October 2002. 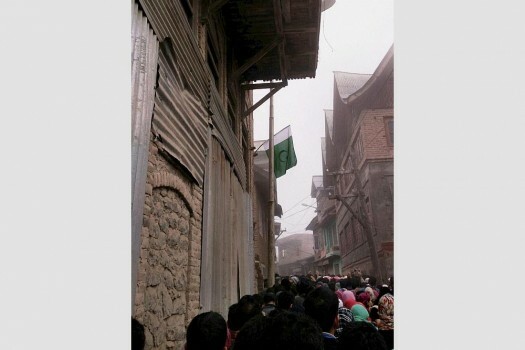 A Pakistani flag hoisted by an angry mob at the ancestral house of Chief Minister of Jammu and Kashmir Mufti Mohammad Sayeed in Bijbehara area of south Kashmir, J&K. 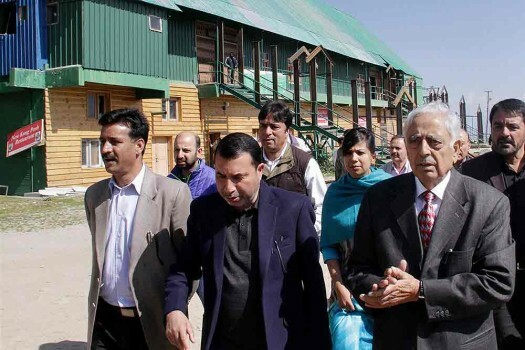 Chief Minister of Jammu and Kashmir Mufti Mohammad Sayeed along with senior officials inspecting tourist resorts in Gulmarg. 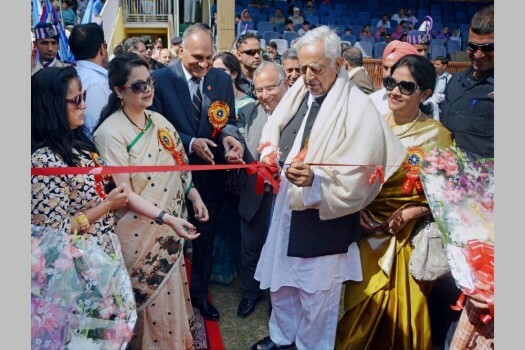 Chief Minister of Jammu and Kashmir Mufti Mohammad Syed along with Director General of J&K Police K. Rajendra Kumar inaugurates Police Public Mela 2015 at Bakshi Stadium. 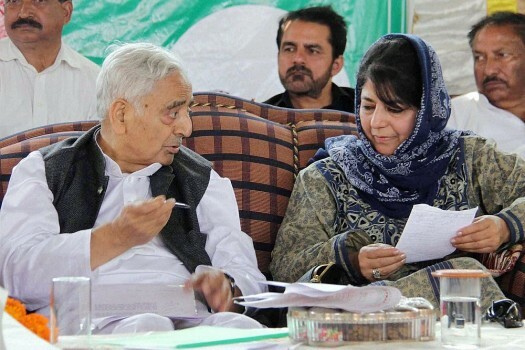 Jammu & Kashmir Chief Minister Mufti Mohammad Sayeed with PDP President Mehbooba Mufti during PDP convention in Udhampur, Jammu. 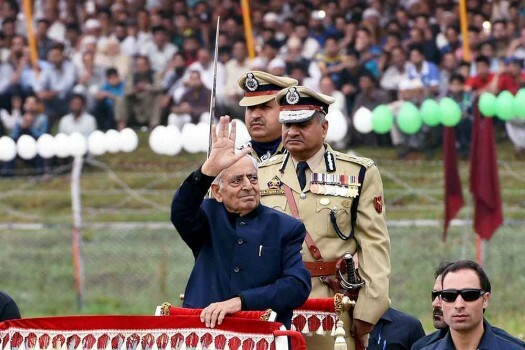 Jammu and Kashmir Chief Minister Mufti Mohammad Sayeed waves while inspecting the parade during Independence day function at Bakhshi stadium in Srinagar. 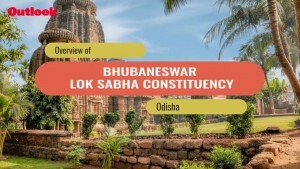 In Arwani, there are many people who work either as constables or officers in the state police. 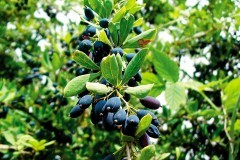 The abductions of their relatives have taken them by a surprise. 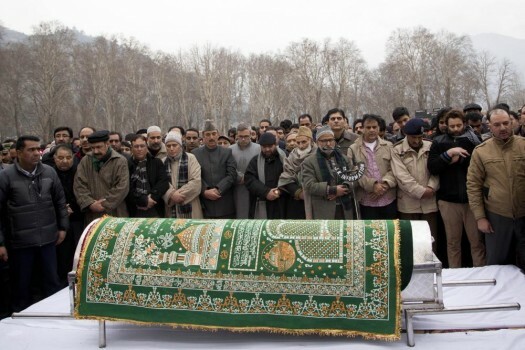 Mehbooba said after the death of her father, she was not interested in continuing with the coalition. 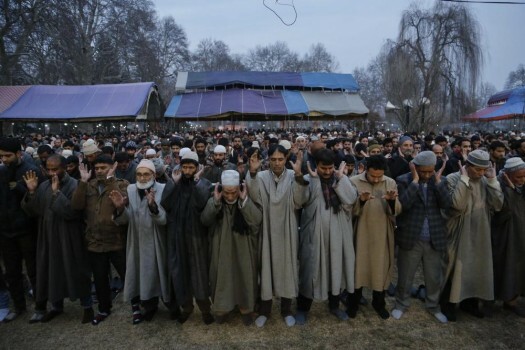 A deep cleave in the ideologies of the PDP and BJP was evident before and after they came together to form government in J&K three years ago. 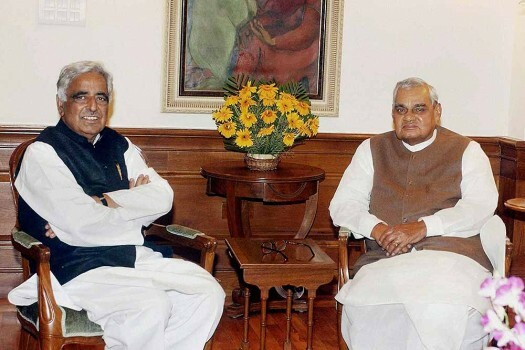 When the saffron party sensed Hindu-majority Jammu being slighted vis-a-vis Kashmir under its rule, bosses took the call—and the rule ended. 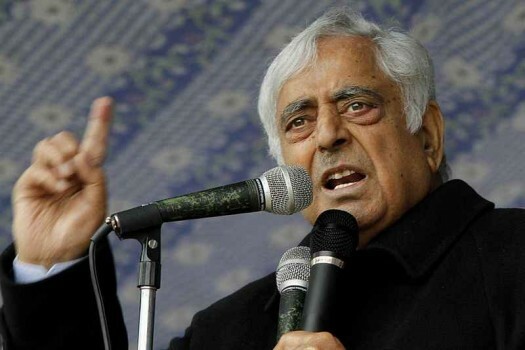 Sadly, in the Kashmiri perception, if he scored a century on his maiden appearance as Chief Minister in 2002, Mufti Sahab was bowled first ball after his swearing in on March 1, 2015. 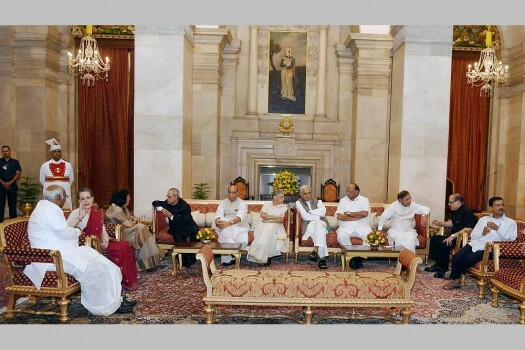 Modi Govt must reassure Pakistan that the purpose of forming a coalition with the PDP in J&K was not to cut Pakistan out of the search for a solution. 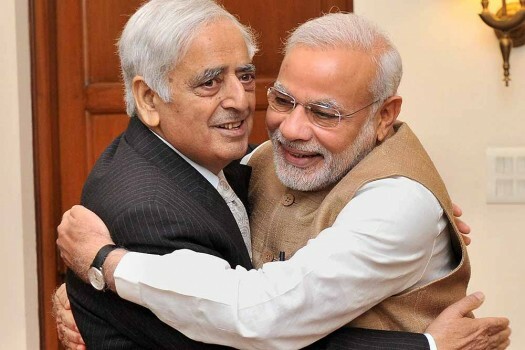 Amid a stalemate in J&K government formation, a partnership between the BJP and the PDP would be good and a moderating influence on both. The People's Democratic Party (PDP) was formed on 28th July 1999. Full text of the founders' day speech by the Chief Minister of J&K who used the occasion to highlight the work done by his party in these six years.